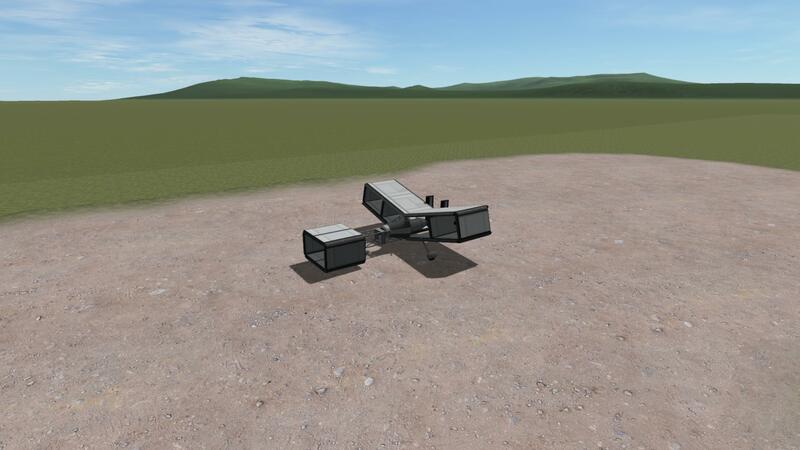 Kerbalkind first airplane, with 30 parts from the beginning of career. Capable of temperature readings and transmitting science. Can reach the Island and return with a full tank. Built in the SPH in KSP version 1.6.1.